Right now, the Kent mangos are in season (January through March) and the season has just started for Ataulfo mangoes (March through July). Mangoes are rich in vitamins C and A, potassium and fiber, and also contain a small amount of vitamin B-6, magnesium, iron and calcium. Mangoes contain the nutrient, beta-carotene and the antioxidant zeaxanthin, which filters out harmful blue light rays and is thought to protect against macular degeneration of the eye. This sweet fruit is versatile; it can be enjoyed in desserts and in savory dishes. The key to enjoying a mango is knowing when it’s ripe. Those who are patient and allow the mango to sit on the counter at room temperature for 2 – 4 days to ripen are rewarded with tender, juicy and sweet flesh. Those who prematurely bite into an unripe mango may find it unpleasantly stringy and sour. In a bowl, combine only half of the Jalapeno pepper with all of the ingredients. Taste and add more of the Jalapeno pepper based on taste. 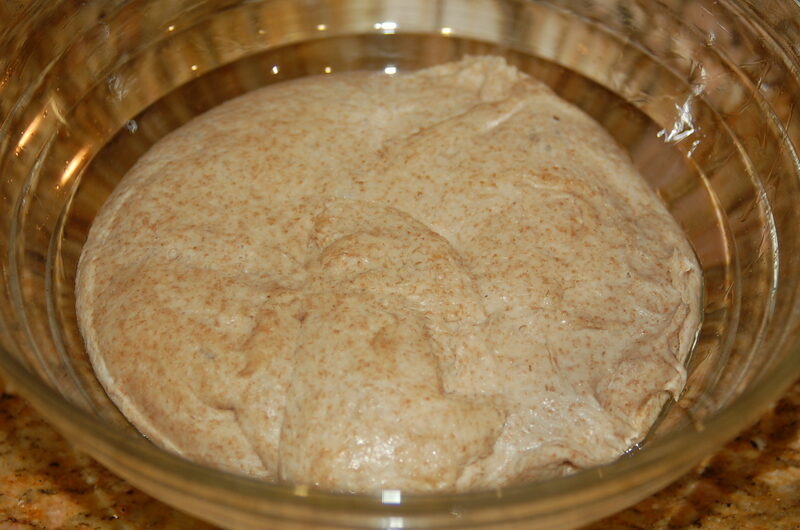 Cover and refrigerate at least 30 minutes. 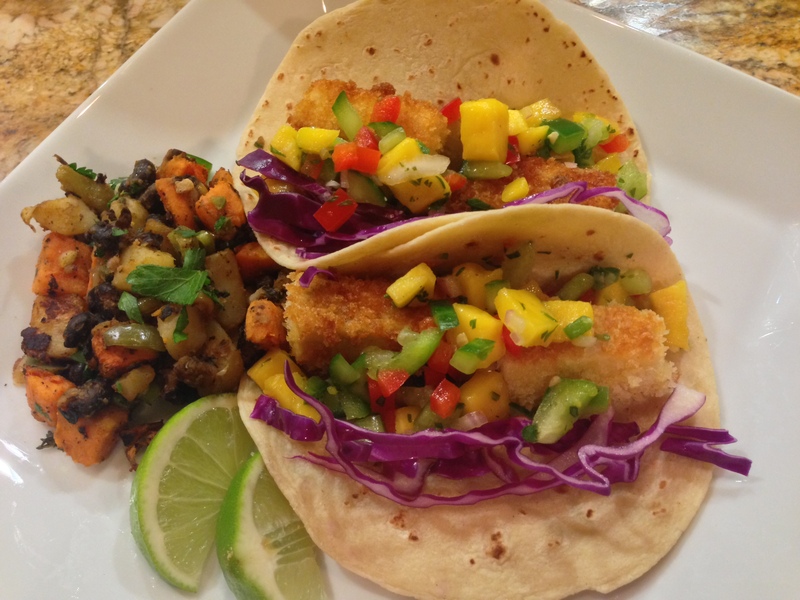 Serve with chips or as a condiment over Fish Tacos with Mango Salsa or Vegetarian Tofu Tacos with Mango Salsa. 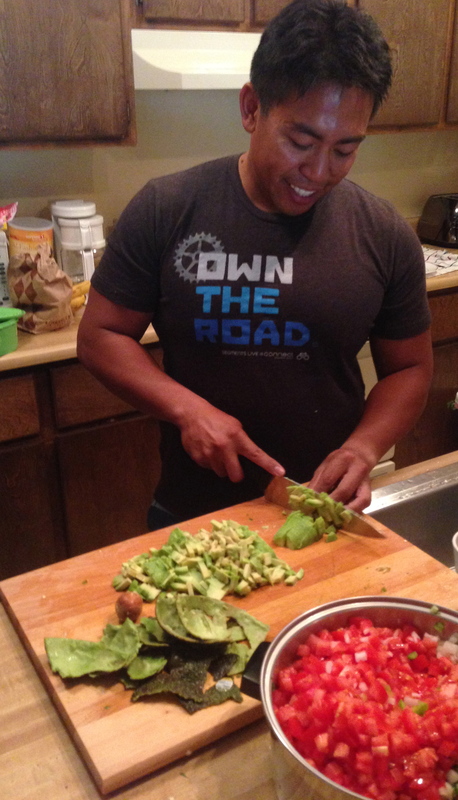 I had the pleasure of training for my first Ironman with Jerrold, a good friend and triathlete known as J’Wow. He’s like a little brother to me. He’s rescued me when I was suffering from heat exhaustion during a long training ride and encouraged me to run with him when I was suffering from stomach pain during our first Ironman. And like any little brother, he thoroughly enjoys annoying me with his teasing. I joined J’Wow at Lake Tahoe this summer when he came up to train with his coach. This is when I discovered J’Wow’s delicious fresh salsa. 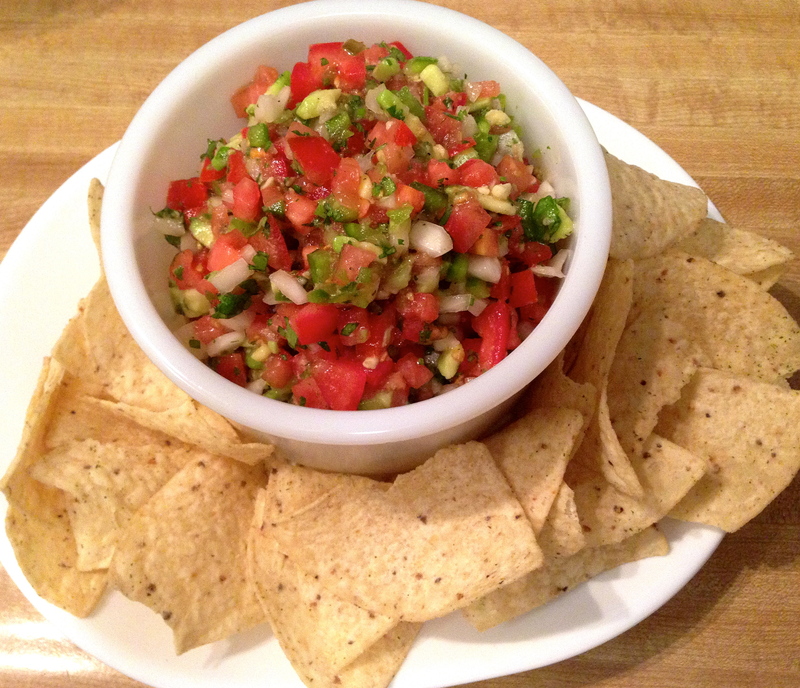 Fresh salsa is a very healthy snack. Tomatoes, onions, jalapeños and lime juice contain vitamin C. Jalapeños contain capsaicin, which generates heat, increases the heart rate when consumed and naturally raises the metabolic rate. Avocados contain healthy fats, mostly oleic acid, which helps reduce bad cholesterol. 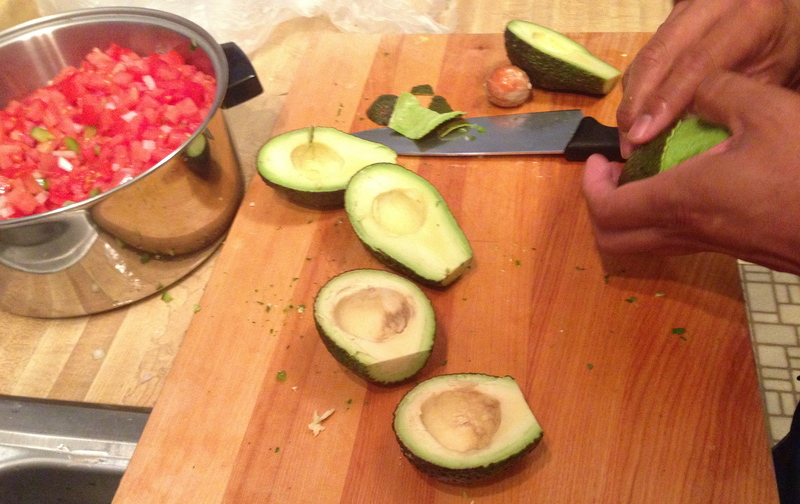 In addition, avocados contain protein, fiber and is an excellent source of potassium. 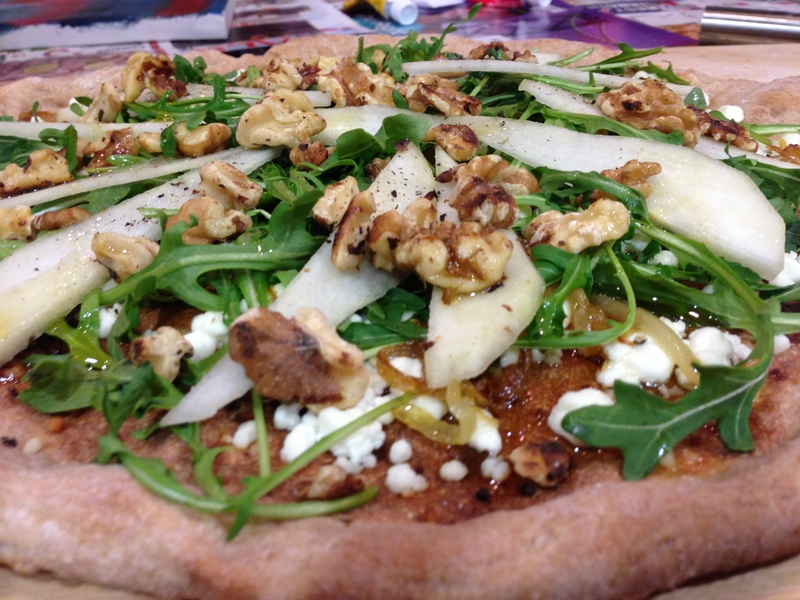 What a delicious way to consume raw and nutritious fruits and vegetables. 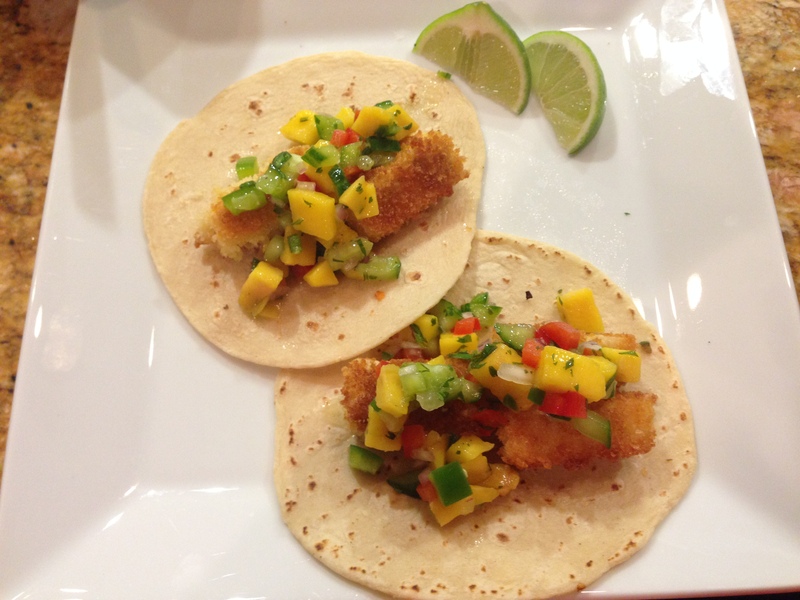 J’Wow prefers chips with a hint of lime flavor to serve with the salsa. I’ve used the salsa with fish tacos, burritos and a variety of chips. Although you can serve the salsa right away, it tastes even better the next day after all the flavors have had a chance to marry. 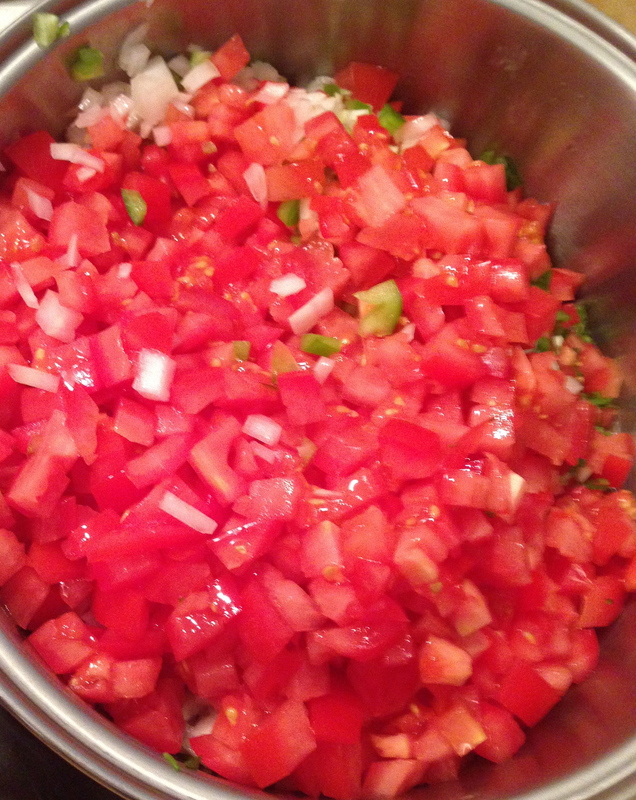 We had 6 people in the house and this recipe made enough salsa for us to enjoy for 2 days. In a large bowl, dice the tomatoes, onion, green bell pepper and avocado. 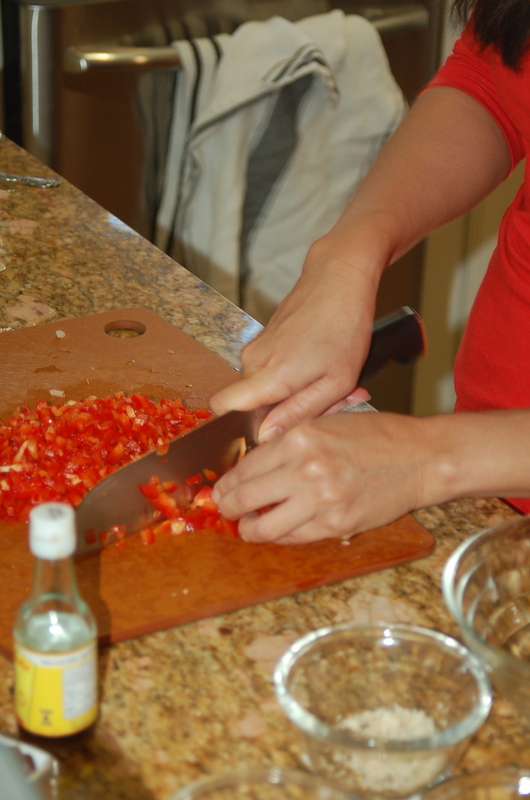 Add finely chopped cilantro and minced jalapeno peppers. I removed the seeds and was careful to wash my hands well after handling the peppers. Add more or less peppers depending on your taste and how hot the peppers are. Add the lime juice. One fresh medium lime should yield about 2 teaspoon of juice. If the limes are small or dry, you may need more than 4 limes to yield ½ cup. To get the most juice out of a lime, I put pressure roll it on the cutting board while putting pressure on it with the palm of my hand. I then use a reamer. You can also put it in the microwave for 20 seconds before squeezing. 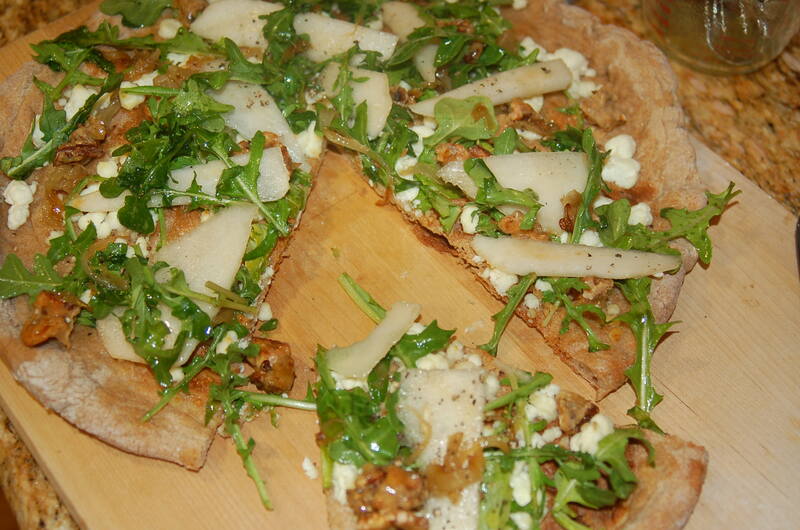 Toss all of the ingredients together. Add salt and pepper to taste. February 1, 2012 was the 10th Annual National Wear Red Day, supporting the American Heart Association’s fight against heart disease in women. Both my mother and one of my best friends, Pam are survivors of heart disease. 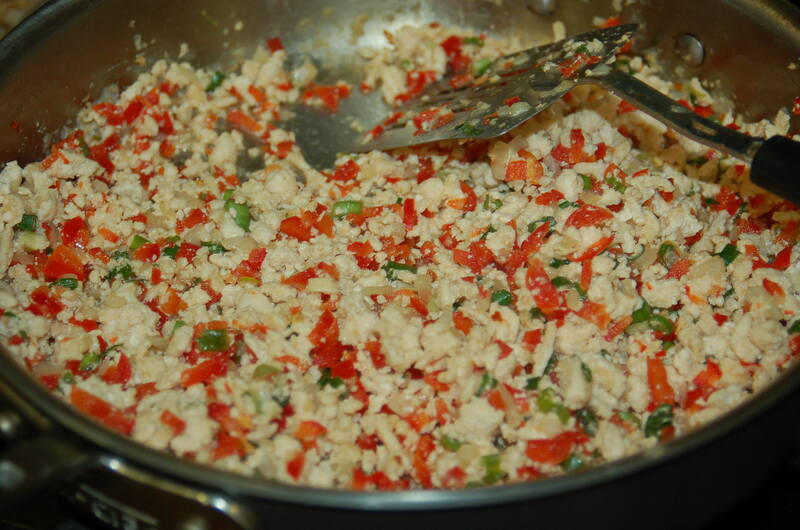 In honor of my mother and Pam, I am wearing red and sharing with you a heart healthy recipe, My Mother’s Chicken Larb. 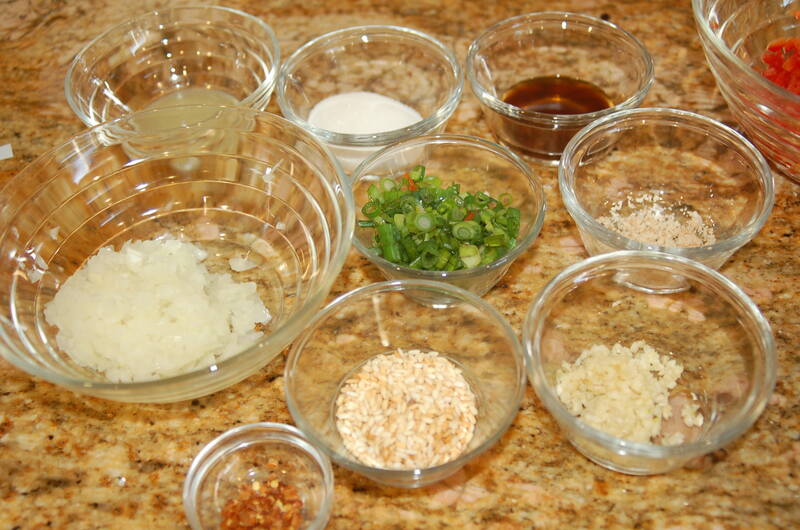 This Thai appetizer is a healthy and easy to prepare finger food for Super Bowl Sunday! 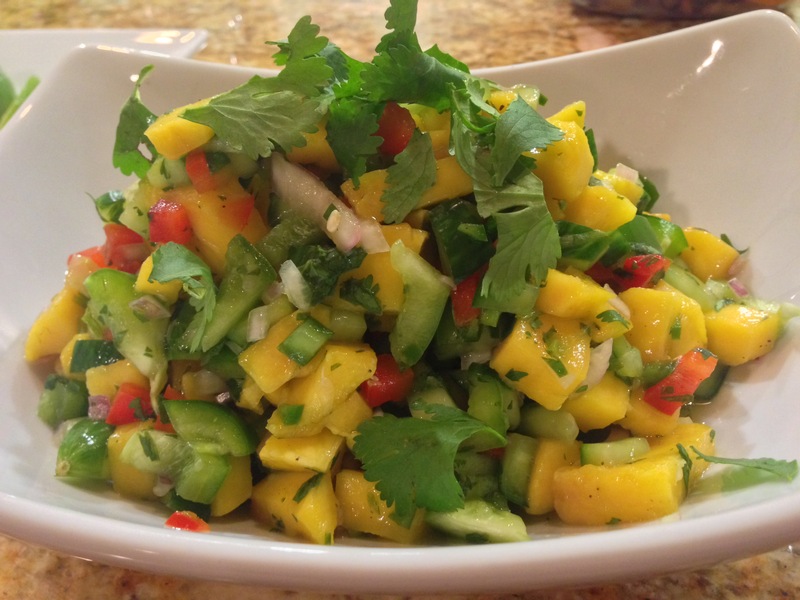 Note: The authentic Thai recipe includes chopped cilantro and mint which you may want to add. I like to keep it simple and use as few ingredients as possible so I usually omit these 2 ingredients. 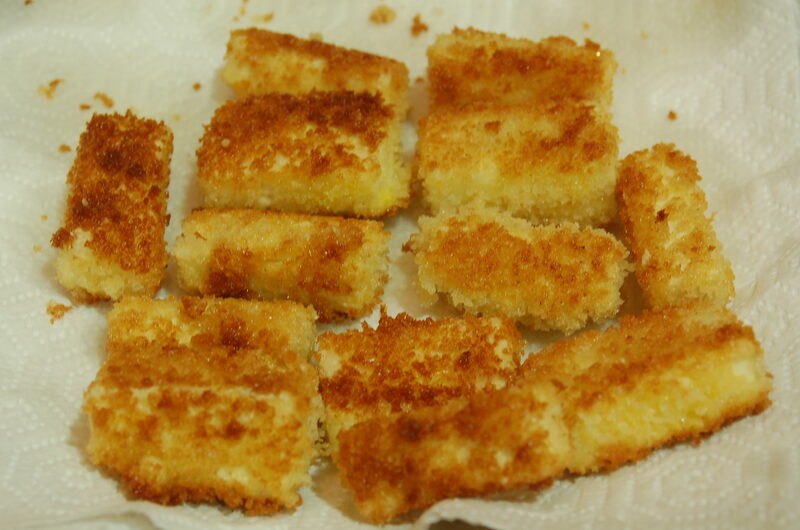 Toast raw rice in oven until lightly brown. Place in plastic bag and break the rice grains with a mallet. Set aside. Cook chicken over medium heat with just enough oil to coat the plan. 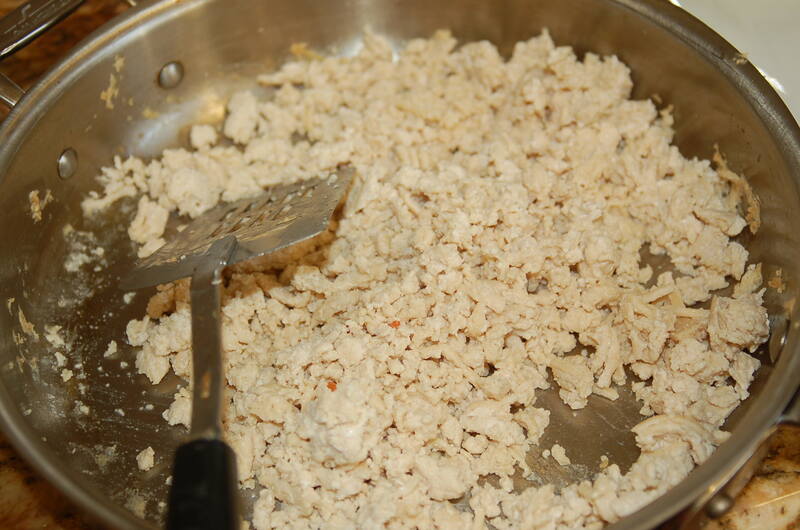 Separate the chicken meat into small pieces while cooking. If the chicken appears to be dry, add a splash of chicken broth to moisten. 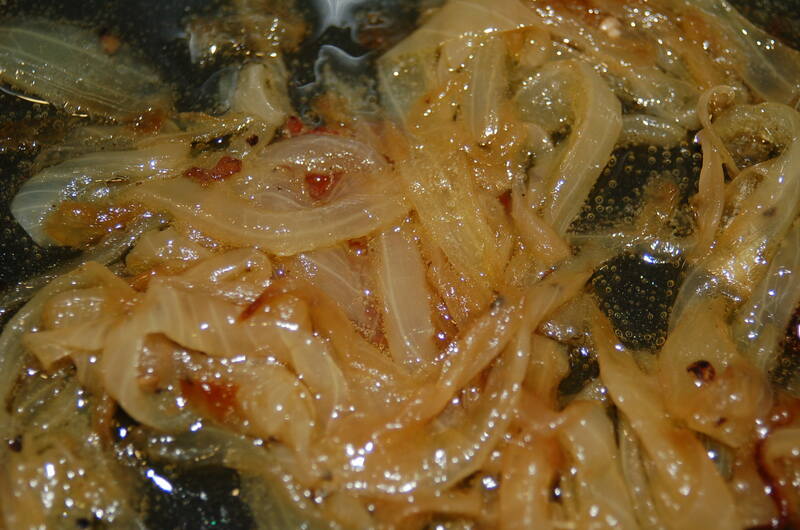 Add the lime juice, sugar, fish sauce, scallions, galangal, chopped onion, garlic and red pepper flake. Cook for 5 additional minutes. 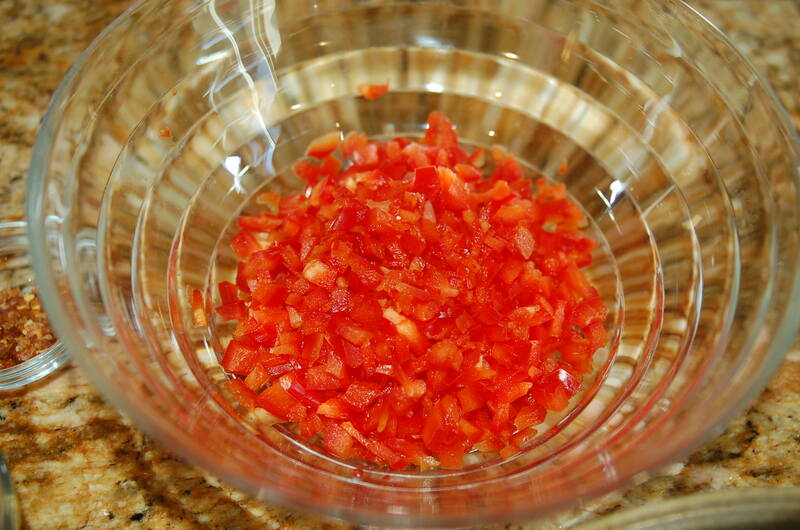 Turn off heat and combine red bell pepper. 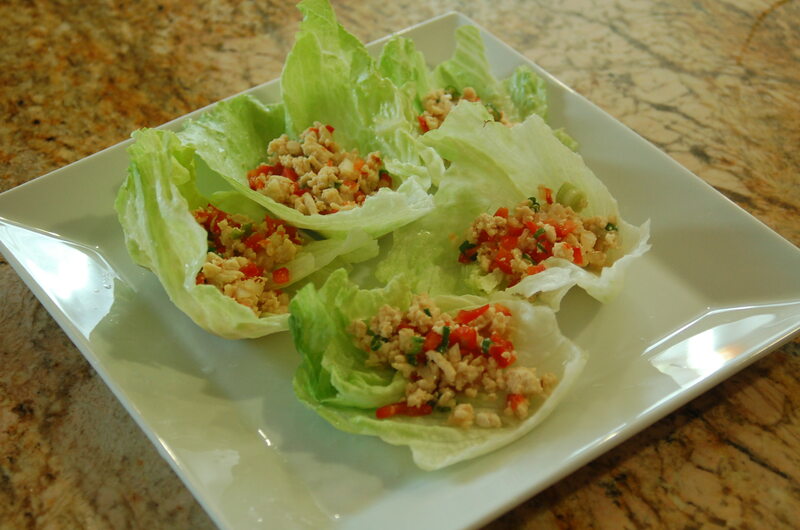 Place spoonful of larb onto iceberg lettuce leaves and sprinkle with toasted rice. 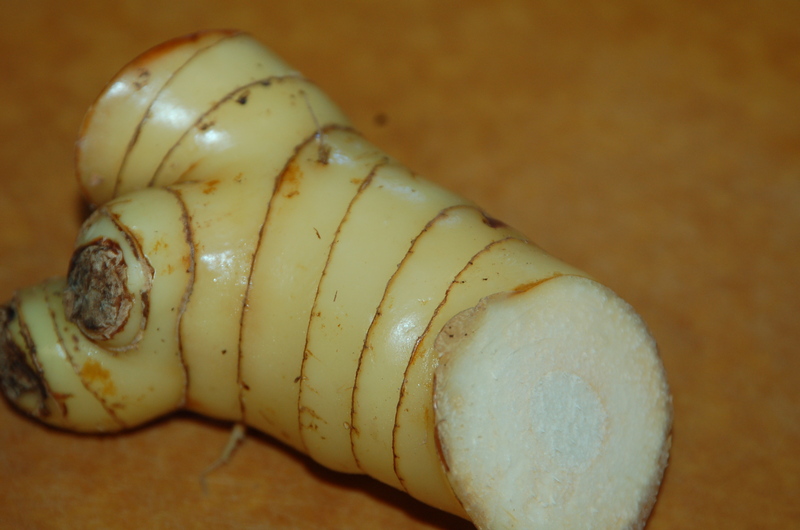 Galangal is relative of ginger and used in Thai cooking. It’s flavor is different and peppery compared to common ginger, therefore you do not want to replace ginger for galangal. Whole Foods often carries galangal. 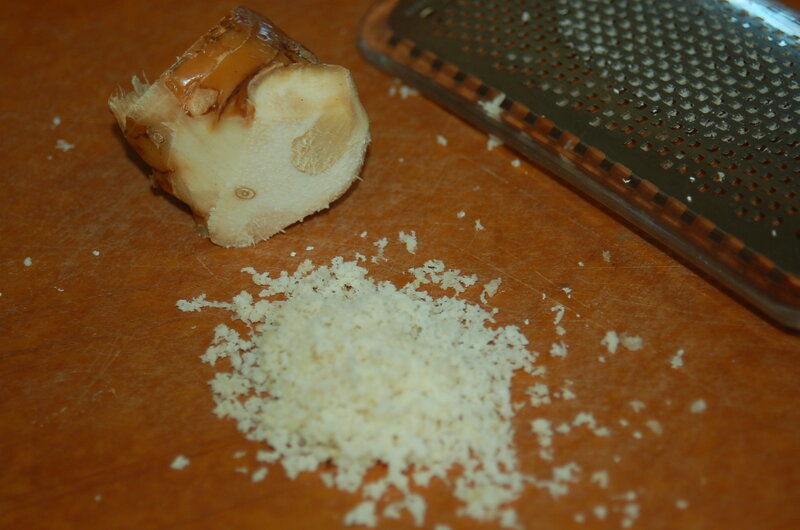 Slice the outer tough skin and then grate finely. Cook the chicken over medium heat until just done. Break up the chicken and add chicken broth if the meat appears dry.